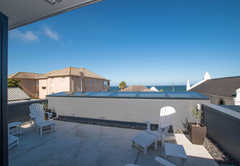 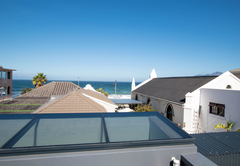 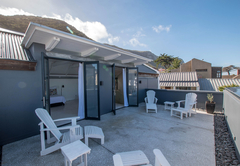 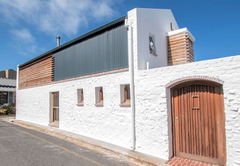 Rosmead Apartment is a property providing self catering in Kalk Bay for up to 4 guests visiting the False Bay region. 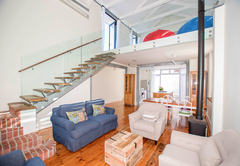 Rosmead Apartment is a sunny, open and airy space that provides accommodation for five guests. 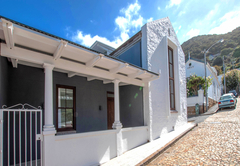 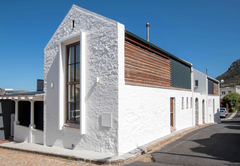 Originally part of the Dutch Reformed Church, the uniquely renovated apartment is located right off the main road, next to the Lever Street Park and Dalebrook Tidal Pool and within walking distance of a number of cafes and restaurants. 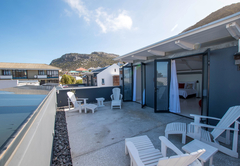 The self catering apartment has two bedrooms and two en-suite bathrooms. 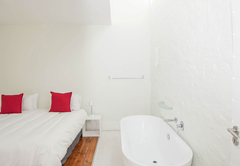 The first bedroom is furnished with a King-size bed and the second bedroom has two single beds that can be converted to a King-size bed. 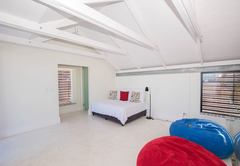 There is a Queen-size bed in one of the lounging areas for an additional single guest. 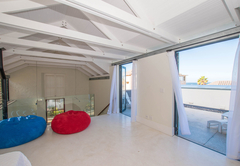 There are two lounge areas, an open plan kitchen and dining area, as well as an outside terrace. 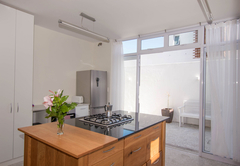 The kitchen is fully equipped for self catering and includes a fridge-freezer, a stove, oven and a dishwasher. 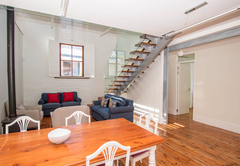 The dining area is furnished with a five seater dining table and chairs. 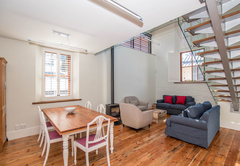 The downstairs lounge has a fireplace for chilly winter evenings. 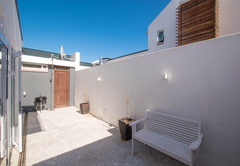 Rosmead Apartment has a private courtyard area equipped with Weber braai facilities and the upstairs terrace has outdoor furniture, so you can relax and enjoy the view. 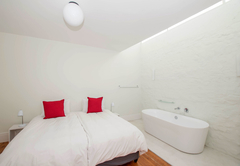 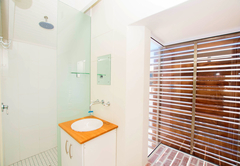 The apartment has two bedrooms and two en-suite bathrooms. 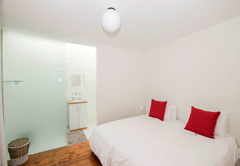 The first bedroom is furnished with a King-size bed and the second bedroom has two single beds that can be converted to a King-size bed. 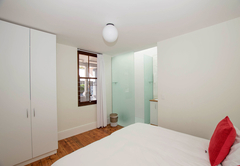 There is a Queen-size bed in one of the lounging areas for an additional single guest.